Individual student test scores were sent home with your children. Please be on the look out for this information. 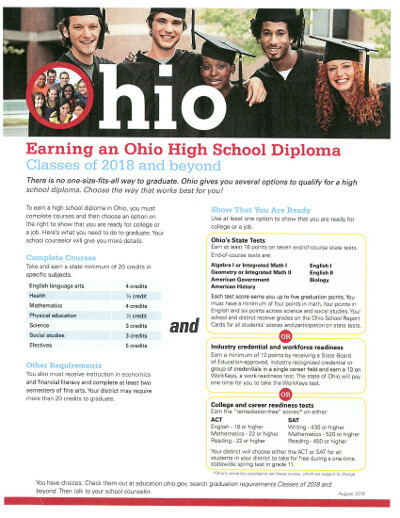 Please visit education.ohio.gov for more information. Graduation requirements are always changing, it's so important to keep informed on the new updates. Credits are assigned to classes that meet State definitions of accepted course work.